A tractor destroyed in a blaze near to Jet Ski World in Palm Bay is thought to have been set alight deliberately. Kent Fire and rescue was called at 1.02am today (September 14) to a report of the vehicle ablaze at Hodges Gap. 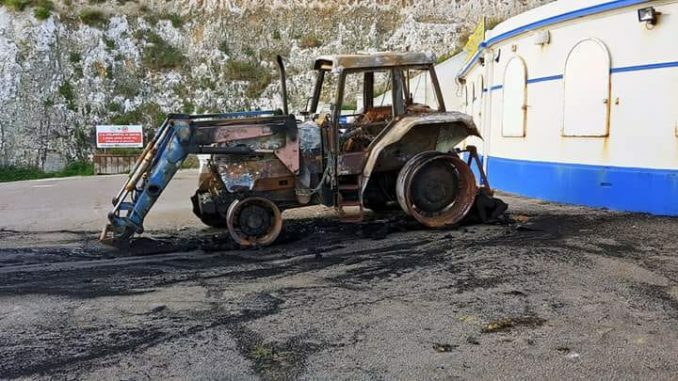 A Kent Police spokesman said: “Kent Police was called at 1.31am to a report of a tractor fire at a business in Fort Mount, Cliftonville.